First Look at Mulan In Live-Action Remake! We just got a first peek what what Mulan will look like in the MULAN live-action adaptation! Snagged from People! 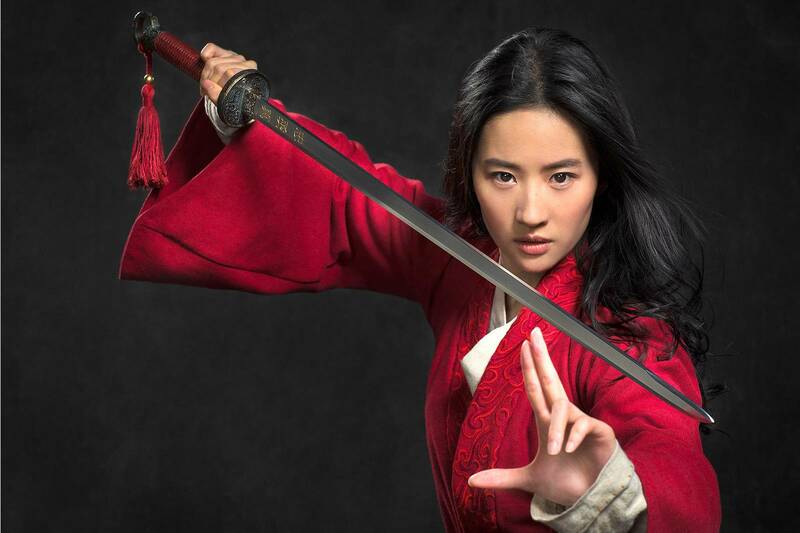 Liu Yifei is looking simply elegant, but FIERY, in that red robe. Attention to detail, I suppose we will find out what that sweet looking sword says in the movie! Or does anyone here know Chinese that wants to translate? Liu Yifei stars as Mulan. As for the rest of the cast we have Jason Scott Lee (THE BRUCE LEE STORY) as the villainous Bori Khan, a warrior leader who is intent on avenging his father's death. He will act alongside Li Gong (whose character so far is unnamed) as antagonists. We have Donnie Yen as Commander Tung, and Jet Li as The Emperor! We’ll get to see the bajillionth live-action Disney Princess movie March 27, 2020.